Instead of being back in the constituency I had to go to Henley for a pre-General Election parliamentary party meeting. We've been discussing the manifesto, which is due to be finalised in the next few weeks. There has been a lot of discussion about whether our commitment to end tuition fees would make its way into the manifesto. I have been determined that it would, and I am very confident that at the next election we will once again be the only major party to commit to ending tuition fees, while Labour and the Tories are planning to increase them. At PMQs today I raised the issue of the closure of the walk-in centre. Gordon Brown had clearly been briefed that I might be intending to ask about it, but instead of joining me in condemning the closure, he simply attacked me. So much for Labour supporting frontline services! 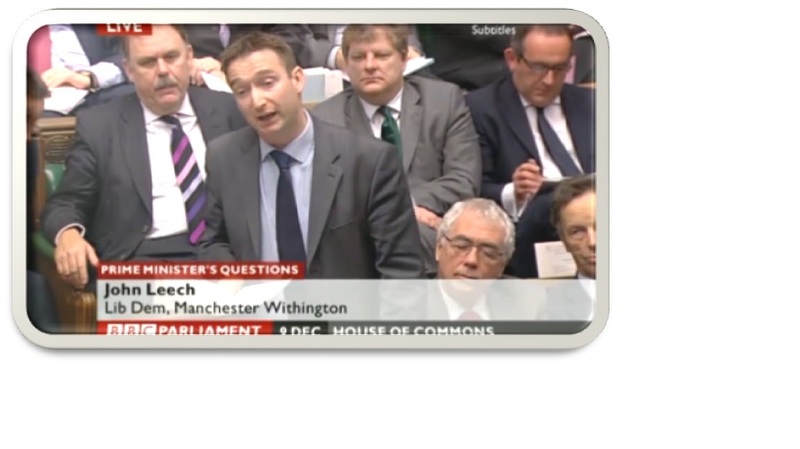 This morning I was the Lib Dem spokesperson at the transport debate on high speed rail. The debate had been secured by my Lib Dem colleague from Leeds North West, Greg Mulholland, who is making the case for a single high speed line with a spur to either side of the Pennines. Once HS2 has reported back to Lord Adonis at the end of the year, there will be a heated debate on the most appropriate route (or routes), as well as a number of MPs trying to avoid the line cutting through their constituency. The Lib Dems have led the way on high speed rail. The Government has dithered for too long, and as a result we have a sum total of 68 miles of high speed rail,out of 3500 across the whole of Europe. The Tories are no better, having only committed to bring high speed rail to Manchester and Leeds, but more worryingly they have argued that it could be funded from existing budgets, which suggests that cuts will need to be made on other rail priorities. Unsurprisingly there was no mention of this from Stephen Hammond, the Tory spokesperson! Having seen the Labour Government close several post offices in the constituency, (while Manchester Labour pretended to support keeping them open locally), I joined the All Party Post Office Parliamentary Group to support my local post offices. This afternoon I attended a meeting of the APPG. Peter Luff MP, Chairman of the Business, Innovation and Skills Committee, addressed the group on the recommendations of the committee's recent report Post Offices - Securing their future . This was followed by an update from the National Federation of SubPostmasters. It was alarming to hear from them that 70% of sub-post offices have seen a continued drop in income, which threatens their future viability. The Labour Government had argued that closures were necessary to ensure the viability of the remaining post offices, but there is more evidence to suggest that people simply use the Post Office less, or access post office services in a different way. Labour simply cannot be trusted to protect our post offices. After another early morning delivering leaflets in Chorlton and Withington, I went to St Nicholas' church to welcome the Bishop of Manchester to Burnage. Bishop Nigel has made a commitment to visit all the churches in the diocese (I think over 350) and he has already been to a number in the Constituency. I've tried to get to all the visits, although I did miss one at St Paul's. St Nicholas is a fascinating building. From the outside it is not that impressive, but it is beautiful inside, and I've never seen a church like it. For anybody who is interested in architecture, it is well worth a visit. I think I broke my record of attending Christmas events today. By the end of the evening I had a wallet empty of money, but full of losing raffle tickets! After delivering some leaflets in Withington I dropped into Withington Methodist Church for their Christmas Fair, and my first mince pie of the day. By the time that I left the Christmas show at Burnage Community centre at about 10pm, I had been to Buckthorn House (the only place to have a free raffle), Chorlton Methodist craft market, St Clements Christmas Fair, Cavendish Primary and Didsbury craft market at Ivy Cottage. It was a great chance to do a bit of Christmas shopping, and I bought some really unusual items from the 2 craft markets. After my surgery at Withington library I didn't have far to go for "Christmas in Withington". It seemed strange for Don Berry not to be there, but Roger Smith (the Chair of Withington Civic Society) did an excellent job in his absence. The Lord Mayor (and Withington Councillor), Alison Firth was able to attend, as well as lots of kids from the local schools. Father Christmas also found time to drop in, despite his very busy schedule! Some people know that I play for the Parliamentary Football Team. Each year we raise tens of thousands of pounds for charities, including cystic fibrosis, which has been the main beneficiary. A while ago we decided to also support local charities in the areas that the MPs involved represent. I have a constituent who is involved in football for people with mental health problems, and so HARP became the first local charity to receive a £500 from the Parliamentary Football team. This morning I went along to present the cheque, and met some of the footballers who will benefit from the donation.